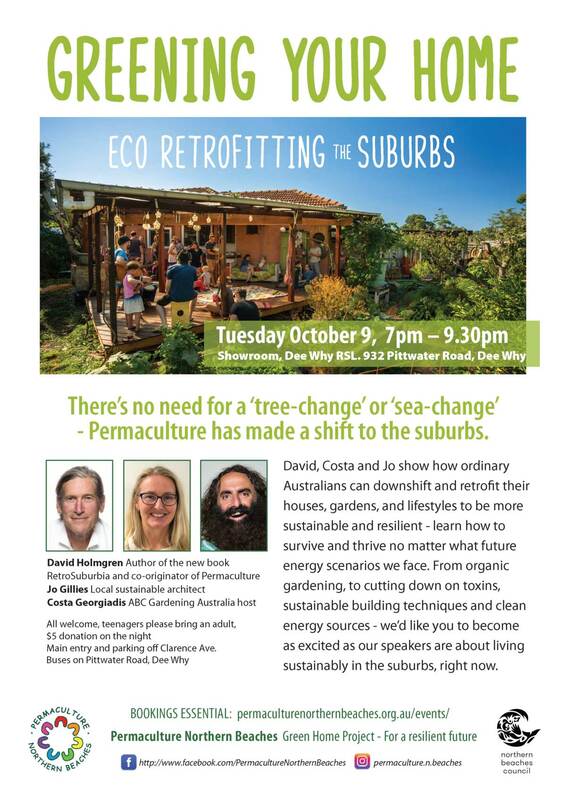 Our director, Jo Gillies, is one of the presenters for this event hosted by Northern Beaches Permaculture. 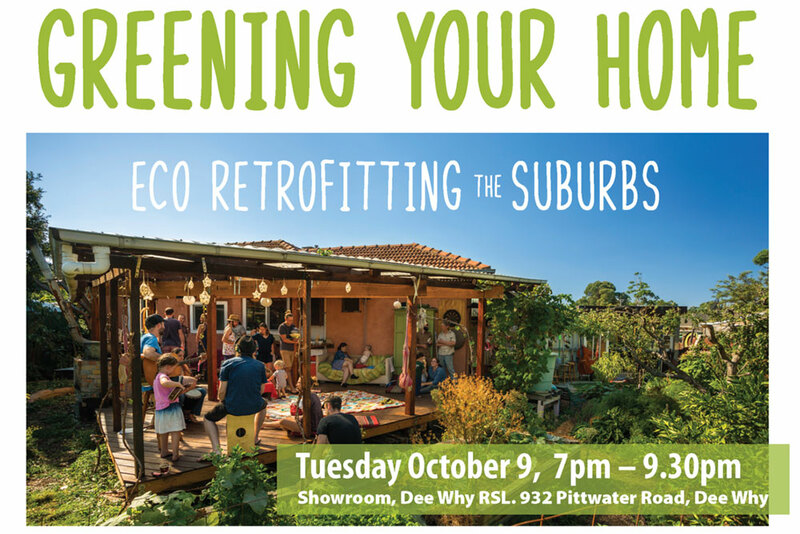 Please join Jo Gillies, sustainable architect, the ABC’s Gardening Australia host, Costa Georgiadis and David Holmgren, author and permaculture expert, for this informative evening. Details and booking options below.